New Orleans has nine institutions of higher learning, including the state’s largest community college and two medical schools; however, so many jobs in our city go unfilled every year. In this discussion we will walk through the disconnect between filling opportunities at your organization and capturing these graduating seniors, and ultimately how to create a talent pipeline. 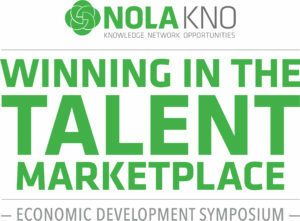 Moderator: Evie Poitevent, Human Capital Manager, GNO, Inc.